ProPak Asia 2017, returns for its 25th successful edition, taking place 14-17 June 2017 at BITEC, Bangkok, Thailand and is now even BIGGER than before. 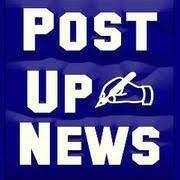 Growing a huge 25% increase and now occupying new halls at BITEC. ProPak Asia is Asia’s No. 1 international processing and packaging trade event. It is Asia’s largest event for these industries and has been running for 25 editions this year. The show takes place in Bangkok, Thailand every year but it is truly a regional event attracting visitors from across Asia who visit the show to meet world leading companies, see the latest machines, technology and services and learn from industry events. Thailand is one of the world’s biggest and best food and drink producers, Asia is one of the main producing regions and ProPak Asia has been supporting their growth since it first launched in 1989. 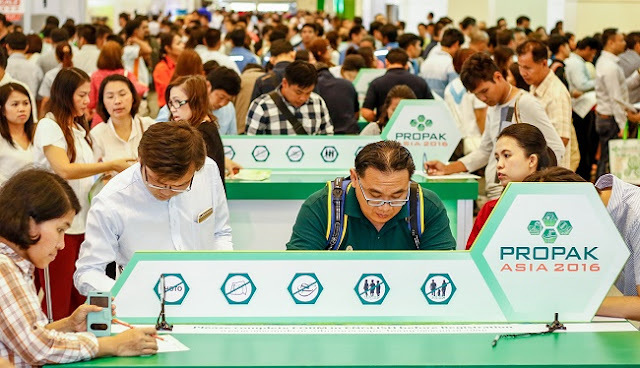 ProPak Asia 2017 continues to grow strongly, growing 25% in term of space, and presents its Biggest-Ever edition with over 2,000 exhibitors from over 45 countries and 19 international pavilions. The show has strongly support from the world leading associations including from Australia - Australian Packaging and Processing Machinery Association (APPMA), Australia of Packaging (AIP), Cambodia – Cambodia Association of Food Science and Technology (CAFST), China - China World Trade Center (CWTC), Denmark - Confederation of Danish Industry - Dansk Industri, France – Business France, Germany - Atelier Scherer Fair Consulting GmbH. (ASFC), Bavarian Ministry of Economic Affairs, Infrastructure, Transport and Technology and Bayern International, Indonesia – The Indonesian Food and Beverages Association (GAPMMI), Indonesian Packaging Federation (IPF), Italy - Italian Packaging Machinery Manufacturers Association (UCIMA), Japan - Japan Packaging Machinery Manufacturers Association (JPMA),Korea - Incheon Business Information Techno Park (IBITP) and Korea Packaging Machinery Association (KPMA), Myanmar – Myanmar Food Processors and Exporters Association (MFPEA), Myanmar Industries Association (MIA), Philippines – Packaging Institute of the Philippines (PIP), Singapore - Association of Small & Medium Enterprises (ASME), Food Industry Asia (FIA), Spain - Amec-Envasgraf, Taiwan - Taiwan Plastics Industry Association, Taiwan External Trade Development Council (TAITRA) and World Trade Center Taichung (WTCT), United Kingdom- Processing and Packaging Machinery Association (PPMA) and the USA - Packaging Machinery Manufacturers Institute (PMMI). 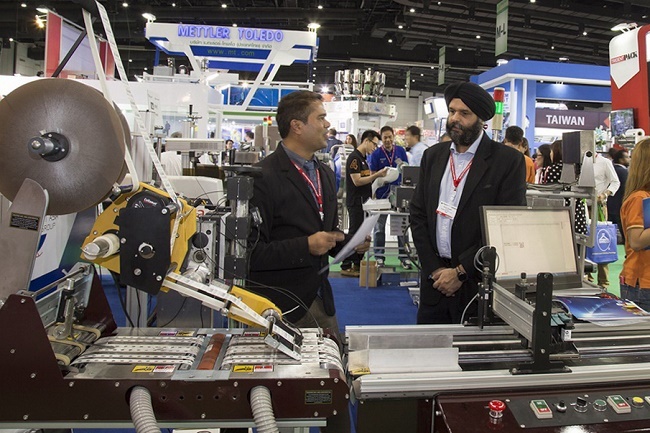 ProPak Asia 2017 will include 8 industry zones for Processing Technology, Packaging Technology, Drink Technology, Pharmaceutical Technology, Lab & Test, Materials, Coding, Marking & Labelling, and Cold chain, Logistics & Warehousing making it easier for buyers and sellers to meet and develop great business together. 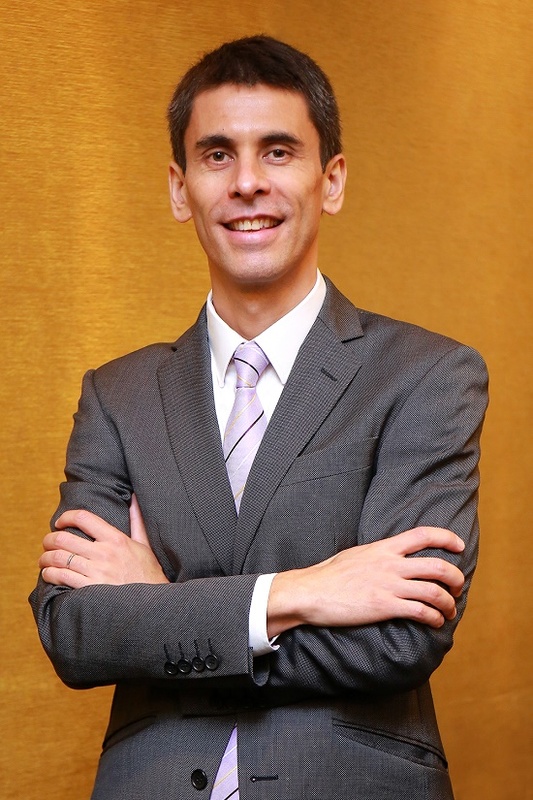 And the show will be in-conjunction with Printech Asia the new show dedicated to printing and converting technologies and its trademarks are jointly owned, in equal shares, by ACIMGA, the Italian machine manufacturers’ association, and UBM BES. No other exhibition in the region delivers and presents the entire supply chain for all sections like ProPak Asia. This year will showcase over 5,000 machines from across the world on 55,000 sqm at BITEC. The line-up of exhibitors includes world-renowned companies i.e. ABB, Afoheat, Berli Jucker, Buhler, CAMA, Clearpack, Coesia Group, FPT, Gebo Cermex, Heat and Control, Heuft, Hörmann, Ishida, IWK, Jebsen & Jessen, KHS, Krones, Markem – Imaje, Mitsubishi Chemical, Multivac, Patkol, Premier Tech Chronos, Ronchi Mario, SMI, Siemens, Tetra Pak, Wolf Verpackungsmaschinen and many many more. ProPak Asia 2017 is organized by UBM BES, from 14thto 17th June 2017 at Halls 98 to 105, BITEC, Bangkok, Thailand. Opening hours are 10am to 6pm every day.